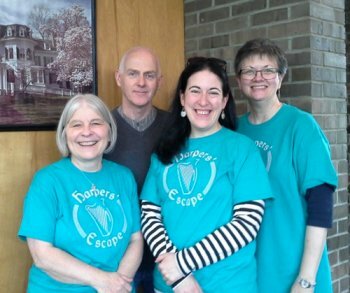 "Thank you so much for a great harping weekend! You are a very inspiring teacher and helped me make that transition from paper to “mind” when it comes to harping"
We could not have had a more friendly and encouraging teaching staff than our staff. They are very knowledgeable, experienced and personable teachers and they love what they do! 2016 Staff Received Commemorative Plaques marking their tenure: From left, Debbie Brewin-Wilson, Kathy DeAngelo, Grainne Hambly, and Eileen Gannon. Kathy is a co-founder of the Harpers Escape. She has been playing Irish music for more than 35 years and harp in particular since 1984. She performs with McDermott's Handy and has played extensively throughout the tri-state region. She teaches harp and fiddle in County Camden, NJ. She and her husband Dennis Gormley host NJ's longest-running Irish seisiun in Audubon. In 2014 Kathy and Dennis were inducted into the Hall of Fame for the Mid-Atlantic Comhaltas Ceoltoiri Eireann and into the Delaware Valley Irish Hall of Fame in 2015. Kathy has been a major catalyst for popularizing the harp in the Philadelphia area. She directed the Delaware Valley Celtic Harp Orchestra and organizes performances for the Next Generation in Philadelphia. Many of her students have taken titles at the Mid-Atlantic Fleadh Cheoil and gone on to compete in Ireland. Kathy's recordings include Come Take the Byroads, and Bound for Amerikay (released in 2013) with McDermott's Handy and both the Harpers Escape Ten Years of Tunes and Another Ten Years of Tunes CDs, which also have companion music books. She created her music promotion company, You Gotta Have Harp Productions, in 2005 and which represents harp-playing and other Irish artists. 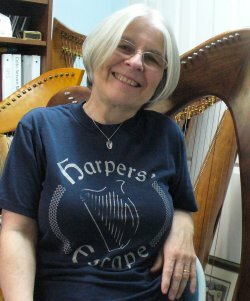 In addition to the Harpers Escape, Kathy helped to create a harp camp at West Chester University, now renamed GMG Harp Forum. She has taught workshops at the Somerset Folk Harp Festival as well as the Irish Arts Week in the Catskills. As if that wasn't enough to do, she was also music director of the New Jersey Folk Festival from 2006 to 2014. In 2008, Kathy took over the management and promotion of the wonderful Somerset Folk Harp Festival, yet another great harp event! 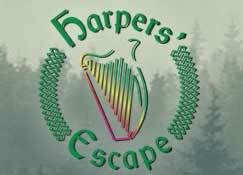 Debbie is a co-founder of the Harpers' Escape. She has been teaching at the Escape for all of its years. She has been performing festivals, concerts and coffeehouse venues throughout the Northeastern United States for more than twenty years. She has a rich, expressive voice that is perfectly complemented by her harp. Besides being well-steeped in traditional Scottish music, she performs her own songs which bring a fresh perspective to that heritage as well as many of life’s journeys. She has 3 CDs to her credit: Dream of Caledonia, Roots and Wings, and her Christmas CD Love Came Down at Christmas. All contain traditional music as well as her own compositions. She also recorded Harpers Escape Ten Years of Tunes and Another Ten Years of Tunes CDs. She has published two books on the music of Robert Burns arranged for harp. She released a new book/CD collection in 2013, Harp of My King, of Celtic liturgical music. 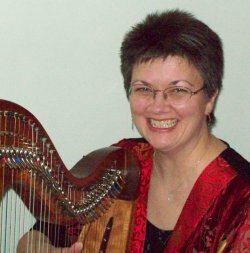 Debbie has been teaching the Basically Beginning harp class at the Somerset Folk Harp Festival since 2010. Grainne is back at the Escape this year, after missing the Escape in 2014 to have her son Liam! She taught at the Escape continuously from 2000-2013. We're lucky to have her back for this final year of the Escape. Grainne is one of the leading exponents of traditional Irish harp in the world today. She hails from County Mayo but regularly tours the US and other parts of the world giving concerts and teaching. She has 3 highly acclaimed CDs to her credit as well as 2 best-selling music books of traditional Irish music arranged for harp. She teamed up to tour with William Jackson in 2005 as the Masters of the Celtic Harp. Billy joined our teaching staff in 2007. Grainne and Billy eventually got married and now have 2 children, who occasionally tour with them. Grainne taught our advanced class. 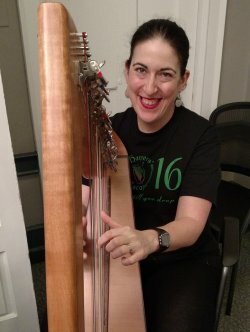 Eileen Gannon is part of a very active Irish music family in St. Louis and is an integral part of the teaching of traditional Irish music at St. Louiis Irish Arts, where she has been teaching harp and concertina. 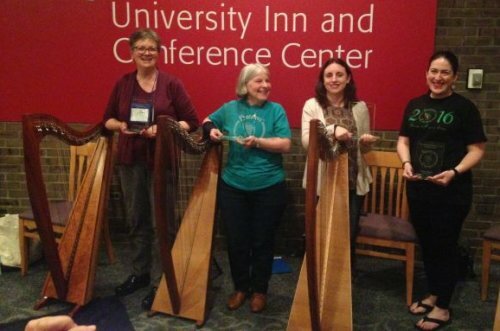 Her students regularly win spots to compete in the All-Ireland harp compeition, where she herself was the first Midwesterner and only third American to win the Senior title in 2000. In 2001, she received a master’s degree in Ethnomusicology from the University of Limerick and also holds the TTCT teaching certificate awarded by Comhaltas Ceoltoiri Eirreann. 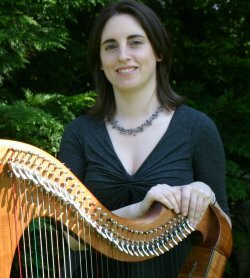 She has been a regular teacher at the Irish Arts Week in the Catskills and also has the distinction of being one of the few Americans to teach harp at Scoil Eigse in Ireland. Eileen taught one of our Intermediate-level classes this year. Here's her website. 2016 was Billy's year to stay in Ireland with the children so that Grainne can rejoin us for the final year of the Escape. Simply listing William Jackson’s achievements, as musician, performer and composer can’t come close to capturing the brilliant spirit, musical intelligence, dry wit, and sympathy that he brings to every instrument he plays, piece he composes and class he teaches. 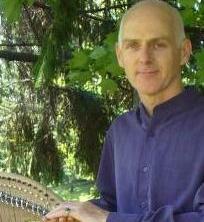 Although the harp is his primary instrument, Billy’s knowledge and experience allows him to move comfortably from the bouzouki to the tin whistle. In 1976 he was a founding member of Ossian, a breakthrough Scottish band. His richly woven and bold compositions, The Wellpark Suite, St. Mungo, Inchcolm, and A Scottish Island, reveal him as a master of orchestration with a sensitivity to contemporary tastes and the traditional idiom. More recently he composed “Fantasia on Scottish Themes” for the Asheville Symphony Orchestra in North Carolina. He is now living in Ireland. Billy will be teaching our advanced-level class this year. Billy started teaching at the Escape in 2007 and took the year off in 2014 in order to help bring his newborn son into the world. His website.